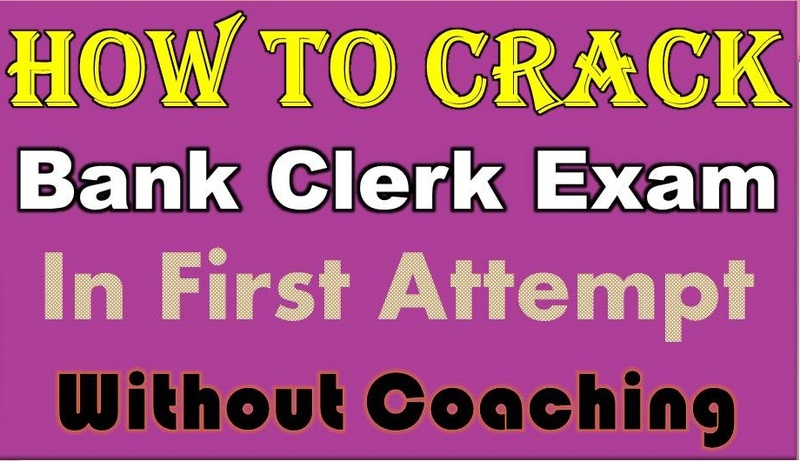 How to Crack Bank Clerk Exam in First Attempt: Hai Friends, Today we are give the tips for “How To Crack Bank Clerk Exam In First Attempt”. Most of the candidates dream is get a job in banking sector. Banking sector is safe and secure. Candidates not prepare properly for bank job. 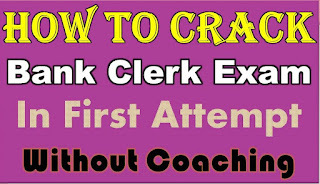 So in this article we are giving the tips How to crack the Bank Clerk Exam in First Attempt. The candidates are searching for the IBPS Study plan and preparation tips. Candidates prepare properly and choose the right answers the Questions. Most of the people say “you have to prepare properly and you get successes in First Attempt”. The Selection process in IBPS Comprises of Preliminary exam and Mains exam. Candidates who clear the Preliminary exams will qualify for the mains exam and those who qualify in the mains exam will appear of a panel. Candidates will finally be selected for IBPS Clerk. Question stay in 36 seconds. Don’t waste your time while you’re in Examination Hall. Read the full question and give the answer. Reconstruction of sentence & passage. Fill in the blank Cloze Test. Total 30 questions asked in English Prelims Exam. Maximum Questions asked Synonyms and antonyms, Reconstruction of sentence & passage and one word substitution. Total 35 Questions Asked from Numerical Ability. Maximum Questions Asked for Time And Distance. Compound Interest, Permutations & Combinations and Number Series. Candidates successfully complete the IBPS Clerk Prelims Exam enter in to Main Exam. Here we give the preparation tips to get good marks in IBPS Clerk Main Exam. In Main Examination total 190 Questions in 200 marks. Total Time duration for main Exam is 160 Minutes. Reasoning ability allot the 45 Minutes Time Duration. Numerical Ability allot the 45 Minutes Time Duration. General Awareness allot the 35 Minutes Time Duration. General English allot the 35 Minutes Time Duration. Capital Market &amp; Money Market. General Knowledge of India . 90 days study plan for IBPS Clerk: You have 90 days to prepare for IBPS Clerk. This is sufficient time for those who want to crack the exam. You can prepare in the way given below on weekly rotations for three months. You can rotate this every week and prepare on a monthly basis. You can also add Computer Knowledge to this and prepare parallel along with other subjects. Practice Mock Tests: Mock tests are important in determining your success in exams. How well you do in IBPS CLERK mock test will determine how well you do in the exams. Think positive: Learn to think positive, be positive. Eliminate negative thoughts from your mind by doing things that interest you like.